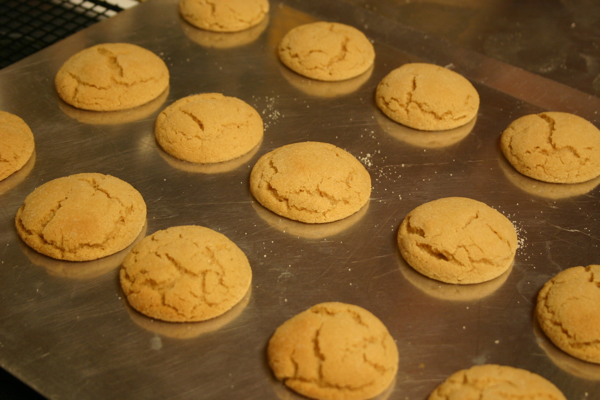 Today I am sharing Jeffrey’s favorite recipe for peanut butter cookies. A few weeks ago, I received a call from the girl who fostered our boxer, Nani. Kim is a loyal blog reader and she was putting together a bake sale to help raise money for the Midwest Boxer Rescues. 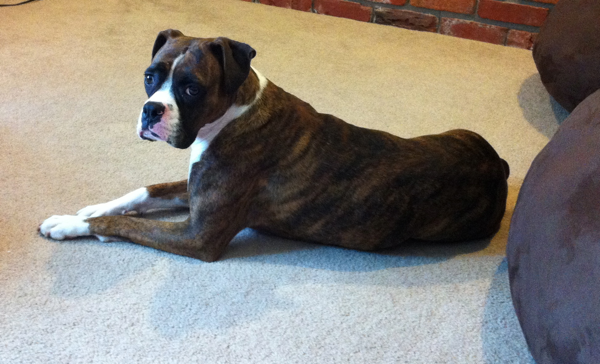 The boxer rescue is the group we went through when we adopted our sweet Nani-girl. We adopted Nani in January, and she quickly became our baby girl. Nani has almost the complete opposite personality that our previous boxer did. Still I know that she was just what our family needed to mend our broken hearts from loosing Rooney. Nani quickly became accustomed to our schedules and was eager to go get the boys from school. She loves her walks and also cuddling beside me in the chair in the evenings. She is a perfect fit for our family and I couldn’t imagine our lives without her. All of that to say, I am so grateful for the boxer rescue and for the excellent job they do of saving boxers that I was more than happy to bake some goodies to help them with their bake sale. 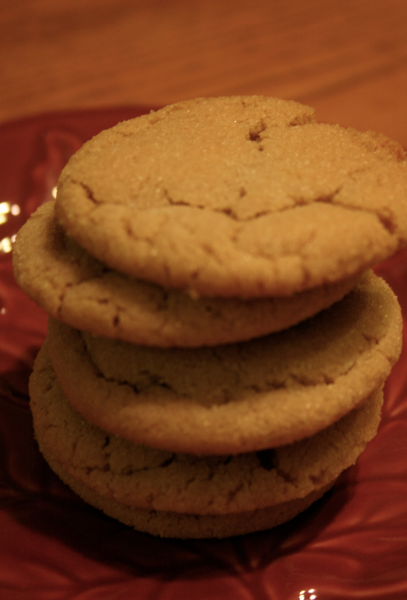 So here is an excellent recipe for some peanut butter cookies that I donated for the cause. As Jeffrey would tell you, make sure you have plenty of milk on hand before you bake these because a tall glass of milk is a must for enjoying them. In a large bowl, beat together butter, brown sugar, and sugar until creamy. Add peanut butter, egg, and vanilla, beating until well blended. Beat in the flour, salt and baking soda. Shape rounded teaspoonfuls of dough into balls; then roll them in sugar making sure they are covered completely in the sugar. Place 2 inches apart on un-greased baking sheets. 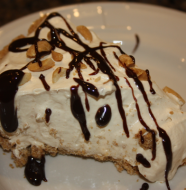 Bake for 8-10 minutes or until golden and cracked on top. Let cool for 1 – 2 minutes on the sheet before removing to cool on racks. 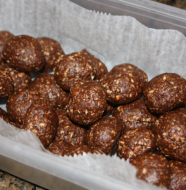 2 Comments on "Peanut Butter Crackles"
I just made these with my kids and they are raving over them. They are so good!!! Thanks for the recipe. 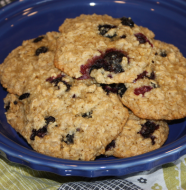 I made these and put chocolate chips in them….MMMMM…what a hit they were with my family and a lunch guest! She even made me print out your recipe.